We replaced missing and damaged shingles in the front of the house after a precise examination. No matter the size of your project, trust a reputable roofer like Stan's Roofing & Siding to help you fix your problem the right way, the first time! We removed and installed new fascia on the front gable and back gable to the chimney. If you have roofing or siding that needs a professional's attention, count on the experts at Stan's Roofing & Siding! Soffit assists in the ventilation of your attic space to help prolong the life of your roof. Without proper ventilation, you may experience mold and mildew build-up as well as increased utility bills do to loss of heat and or cool air. I have some siding that has loosened and pieces of siding missing! Some roof shingles also. Needs to be repaired but cannot locate same siding. I was happy to have new siding and a new roof. 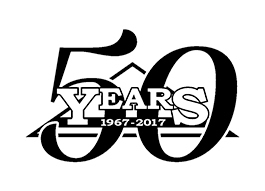 Stan's Roofing & Siding has served the residents of Evergreen Park since 1967 with a wide range of roofing and siding services. Our employees are professionally trained and capable of installing or repairing your roof or siding quickly and efficiently. Soffit panels had fallen off this home and our crews went to replace it. Soffit panels cover the underside of the roof overhang on your home. While it leaves a visual appeal, its main purpose is to assist in the venting of your attic space. Attic spaces often hold heat and in the summer months with the sun beating down on your roof, temperatures can sky rocket. If proper ventilation of your attic space is not there, it can cause the shingles to breakdown more quickly, and the formation of ice damns in the winter will undoubtedly cause leaking. Proper ventilation also helps to control the humidity in your attic space. Without soffit to assist in ventilation, problems such as mold and mildew as well as wood rot can occur. Attic ventilation is also a key to keeping the utility bills under control during all seasons.